Taking screenshots on a Mac is easy. 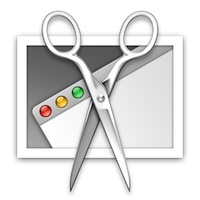 One of our earlier post showed you how to print screen on Mac using Mac keyboard shortcuts. While the method is easy and free – it has limited functionality. If you’re looking for an app, which can do much more than taking screenshots – read on. Grab is an app available for free! You might be surprised, but yes, Apple created Grab and it comes pre-installed on a Mac. It resides in Applications -> Utilities. It’s a pretty simple app, although it does a pretty good job at taking screenshots. It can take full-screen (timed or manually activated) shots, or it can shoot only specific portions of your screen. I used Grab a bit, but one of the negative aspects was that the image generated is in tiff format and requires additional step if you would need to convert the image, which will most likely be the case. Quality of images is also not great. Overall, they’re a simple and affordable solution for the task. Share your document via email, PDF, Dropbox or Clarify-it.com. It is a pricy, but definitely worth it. Jing is a free and average quality app from Tech Smith to take screenshots and capture videos. Jing has basic editing features (especially for screenshots), but if you’re looking to get something elaborate going, it won’t do much for you. It also has a paid option that allows you to share to YouTube and a few other features, but nothing big. If what you’re looking for is an affordable, simple, and functional way of quickly sharing snapshots of your screen, Jing is a great option.